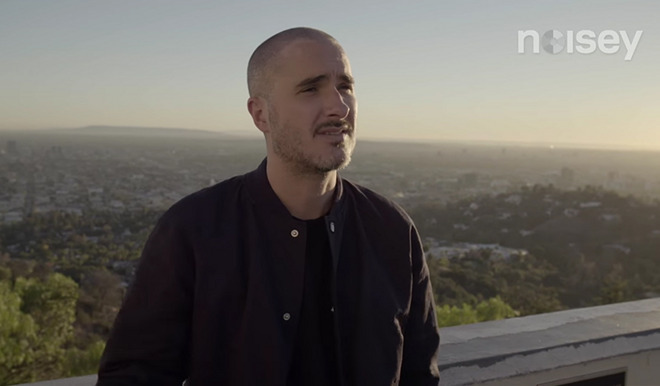 Zane Lowe, the high-profile DJ tapped to head up Apple's breakthrough Beats 1 radio station, in a recent interview discussed how his work at MTV and the BBC influenced Apple Music's streaming division. Speaking with Vice network's music-minded publication Noisey, Lowe said the opportunity to work with Apple on a new broadcast medium was a major consideration in his decision to depart BBC Radio 1 for Beats 1. "It really was for the job," Lowe said, adding that the idea of broadcasting live to iPhone rather than through traditional radio formats was enticing. "When you actually put it on a device, it's with you all the time. You can reach people anywhere, anytime as long as you give them a reason to tune in. So I just wanted to know what that felt like." Beats 1 is a 24-hour radio station streamed live through the iOS Music app and iTunes. The broadcast airs in more than 100 countries, with Lowe providing coverage in Los Angeles, while DJs Ebro Darden and Julie Adenuga man the station from New York and London, respectively. Lowe chronicled his professional career from breaking new music at MTV, to a 12-year run as a tastemaker at the BBC. His ability to recognize standout musical acts is highly regarded in the industry, and Lowe has been credited with jumpstarting the careers of Adele and Gnarles Barkley, among others. On his process, Lowe said good tracks are those that foster an emotional connection between the musician and their audience. "It enhances something in your life; it enhances an experience for you," he said. "Sadness or happiness or freedom or oppression, or something that you're going through, it's able to add context to that environment that is more than a clinical context, it is an emotional resonance. It makes you feel that something is more than you did before." In 2015, Lowe won a Grammy nomination for his production work on Sam Smith's album "In the Lonely Hour." A major draw for Beats 1 is exclusive content generated by artists themselves. Of particular note are radio shows hosted by celebrity musicians like Pharrell Williams' "OTHERtone," Q-Tip's "Abstract Radio," and Dr. Dre's "The Pharmacy." "We don't tell any artist what to play, never ever put any creative restraint on what they want to do," Lowe said. "The whole conversation just goes, 'Play what you want, do what you want. We're here to do any heavy lifting you want, but it's your vision, enjoy.' So that it's really quality, really consistent and it's just not boring."